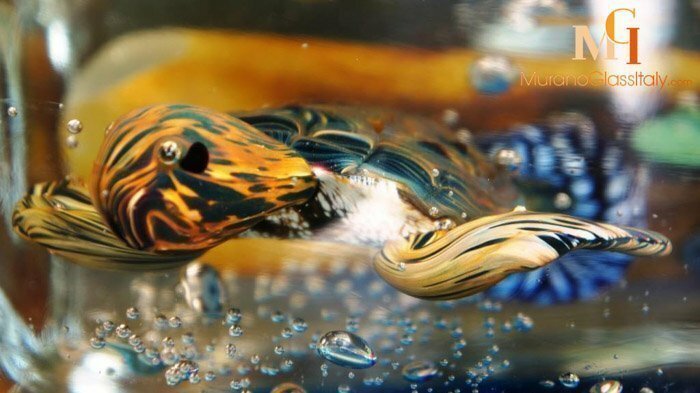 Atelier Oball Murano Glass was founded in the 1970s by Luigi Onesto. Luigi Onesto was born in the island of Murano in Italy to a family of glassmakers. He was immersed in the art of glassmaking from an early age. 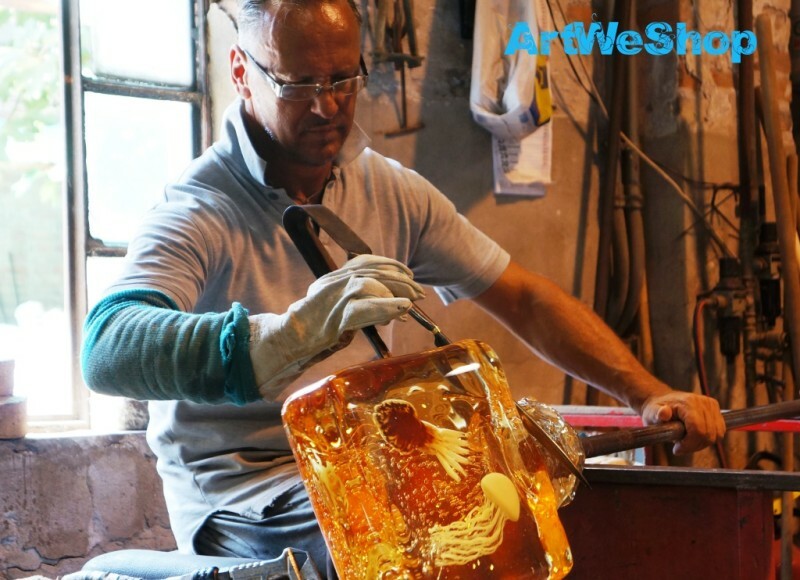 Before establishing his own atelier and creating the famous Murano Glass Aquarium Collection, Luigi learnt the craft of glassmaking during his apprenticeship. Specifically, at one of the leading glass making companies in Italy at the time. Luigi was fascinated by sommerso glassmaking technique and dedicated his life mastering the art of sommerso. Sommerso can be described as a thick solid glass produced blowing successive layers of differently colored glass within each other. 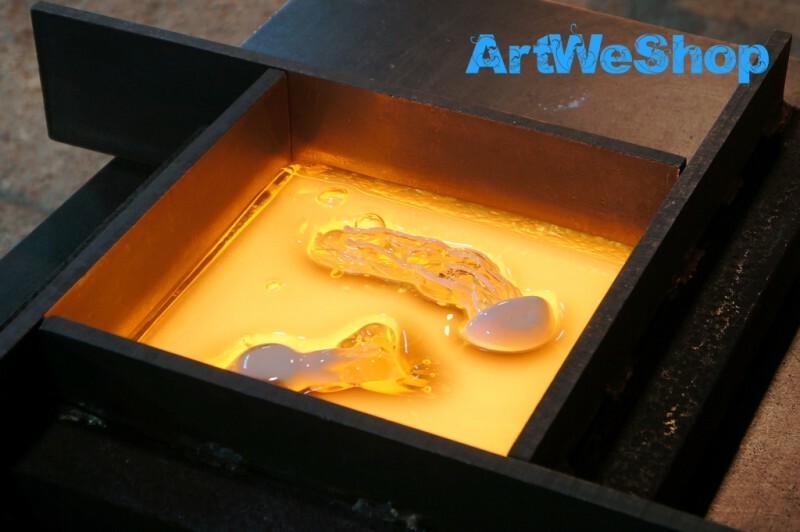 Sometimes the layers include small bubbles, silver or gold foil or other elements. This technique is used to create timeless vases, bowls and sculptures. Luigi inspired his sons Fabio and Michael to join him as teenagers in his atelier and learn the art of sommerso. 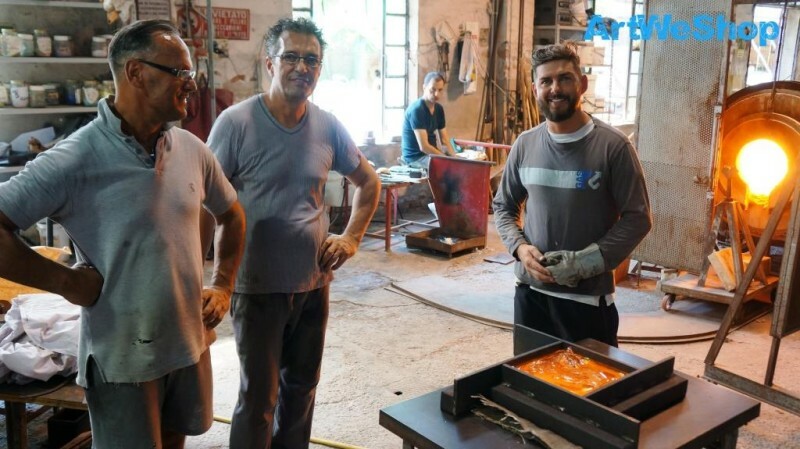 Fabio and Michael inherited their father’s talent of glassmaking and did not only follow his footsteps, but gave their own twist to the sommerso technique. The brothers joined by Fabio’s son Christian create contemporary sommerso masterpieces that honor the ancient tradition of sommerso while giving a modern design to it. 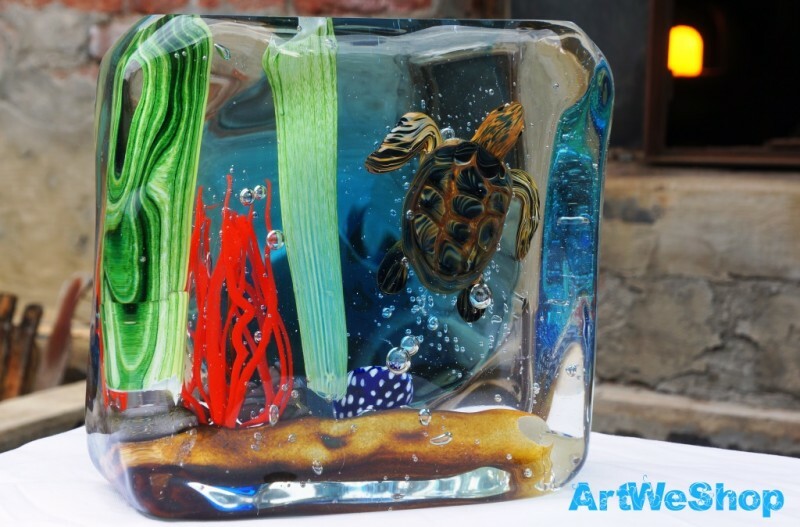 Fabio and Michael were always fascinated by the marine life and wanted to capture its beauty in timeless sommerso glasswork. Through many trials and errors, they developed a special sommerso technique allowing a three dimensional visualization of sea life. These sommerso sculptures are created through separately blowing. 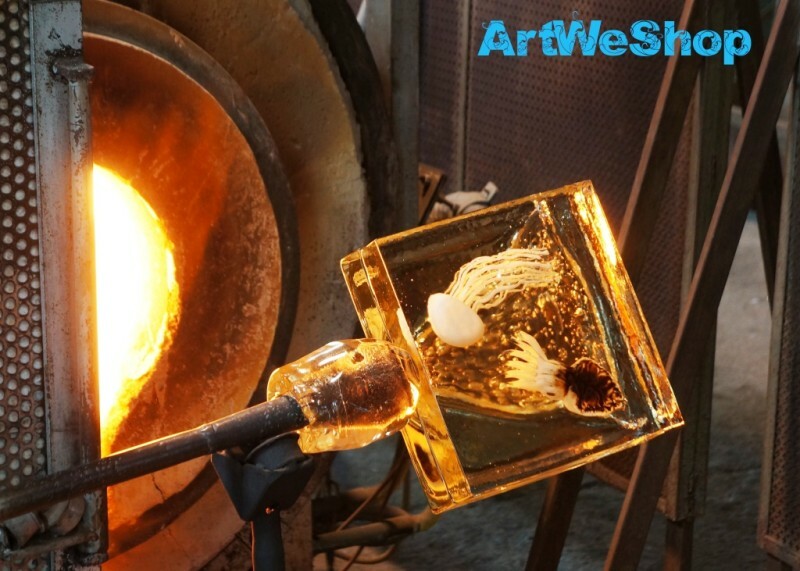 First blowing the different see life elements, then placing them in separate molten glass layers. The wisdom of the old and passion of the young generation meet in these truly unique marine aquarium sculptures. All artworks of Atelier Oball Murano Glass listed on MuranoGlassItaly.com are authentic pieces. The artworks are signed by the artists, labeled and certificate of origin is provided.